Did you know that 23 European countries can fit inside Mexico? If you are planning a trip to Mexico this summer, you must be aware that it’s a huge country. With nearly 2 million square kilometers (772,204 square miles) of continental territory, not many people know (Mexicans included) that it is the eleventh largest country in the world, out of a total of 194 sovereign nations recognized by the U.N.
Of course it is not as big as Russia, Canada or the United States, but Mexico is large enough to accommodate 23 European countries inside its territory. To demonstrate the vastness of Mexico, a Reddit user shared an image of the national territory with 23 European countries overlapped. 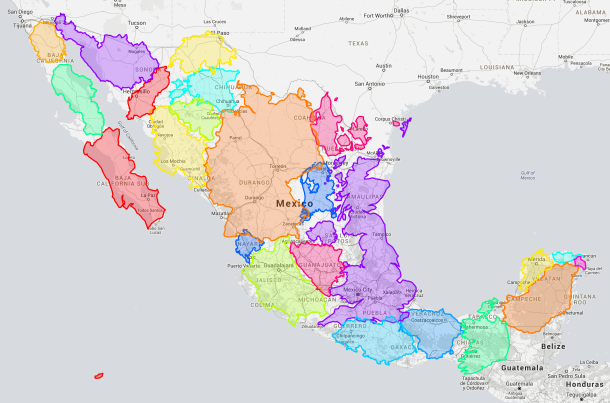 While the larger countries of the old continent are not covered, some medium and small size can fit well within Mexican territory.